Speers Chemical Society hosts Lab Fest for Freshmen students. Live experiments were demonstrated by the MPhil Chemistry students. 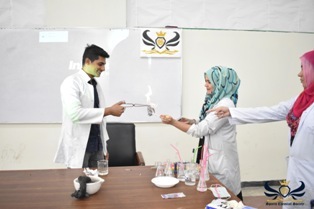 The freshmen were also given the opportunity to perform those experiments. 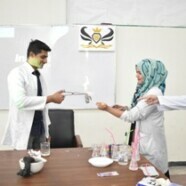 Demonstrators performed different lab experiments to show the beauty of chemistry. 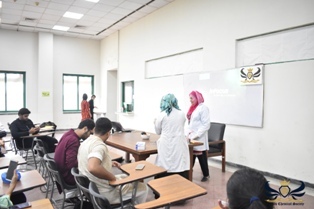 There was a lecture on lab safety before the commencement of the live demonstrations. The basic personal protection equipment’s were provided by the society. 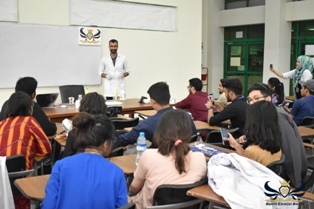 This activity was basically planned to provide an interactive and deeper experience of Chemistry and its proceedings to the Freshmen so that they may gain a richer exposure to Chemistry while keeping a good balance between fun & work.